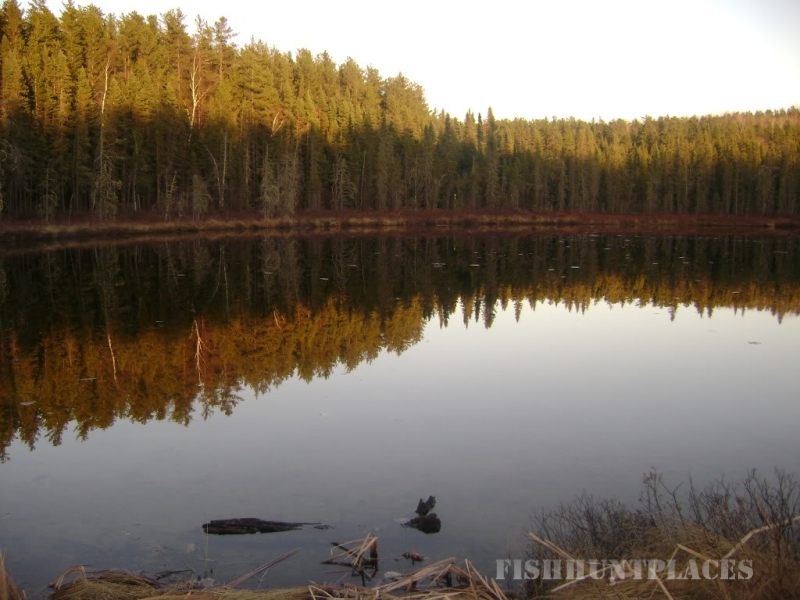 Wild Goose Lake is approximately 14 miles long with clear, clean waters which give up many good walleye, northern pike, perch, and whitefish each year. You’ll enjoy the quiet, peaceful fishing with little competition for the better fishing spots. 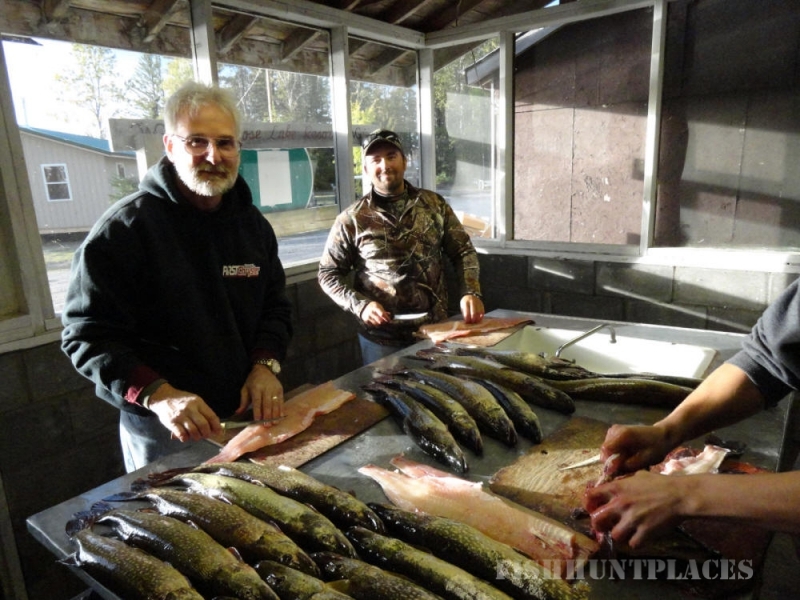 There are numerous other remote lakes I the area for additional fishing adventures. Many of these lakes are only a short distance away and easy to get to. Here at Wild Goose Lake Resort we have many hidden treasures. Like a 7 year old boy catching a 22” northern pike off our dock the first day he is here on his second cast, yelling, “Dad, Dad what do I do with it now?” Or finding a deep hot spot on the lake with a fish finder which turns black with so many fish on the screen. We have 650 square km. of prime black bear area that is assigned to us exclusively. You can hunt over one of our active baits, some of which have been baited for many years, or you can choose some of the newer baits that have not been hunted before. Some baits you can drive fairly close to and others you will need an ATV to get to. Our black bear hunt is available for bow or rifle hunts. 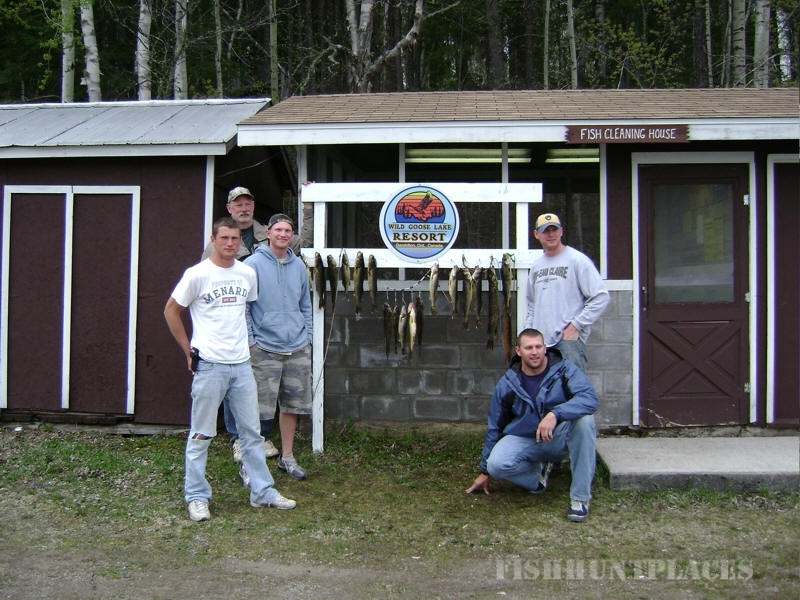 Upon arrival for your hunt we will show you the baits, help set up your tree stand and get you acquainted with the area. Once you are set up and ready to hunt, we are here for you if you need any assistance but will continue with our daily bear baiting schedule and work around the resort. We will help track or load your bear. Available at the resort are hanging poles, a walk-in cooler & freezer space.